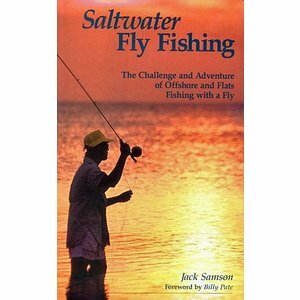 Book-SaltWater Flyfishing by Jack Samson. This book not only brings us up to date on the latest in rods, reels, fly lines, leaders, and flies but also makes simple the formerly complicated world of knots for the saltwater fly rodder. 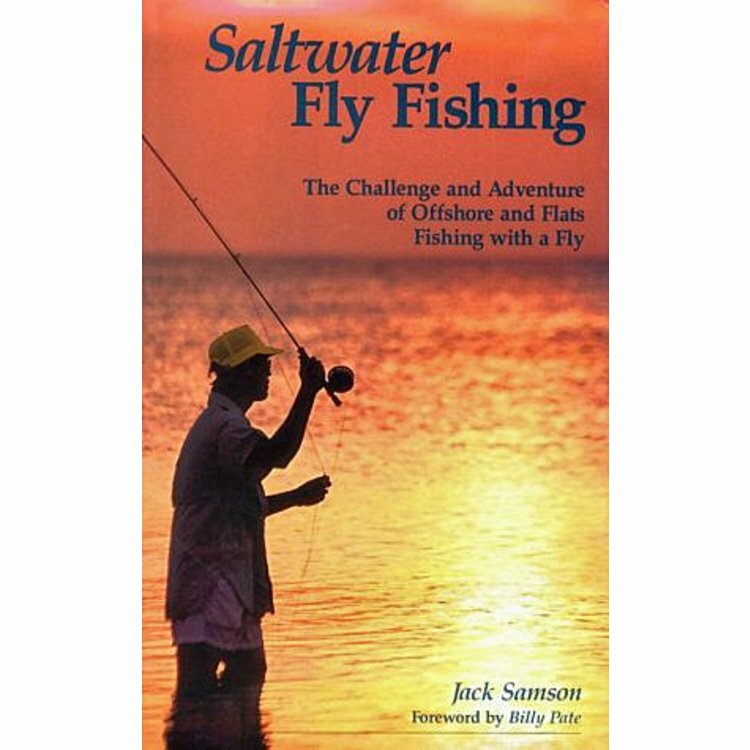 In addition, author Jack Samson covers the history of saltwater fly fishing from its beginnings in nineteenth-century England to the present day. 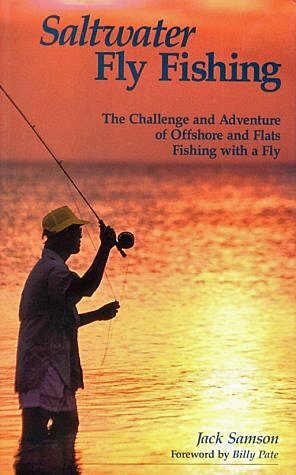 But it is the exciting narrative tales of fly fishing -- from bonefish in the Bahamas and Florida Keys to sailfish and marlin from Venezuela to Australia -- that set this exceptional book apart from others in the field. Samson tells us how it feels to take the world-record roosterfish (31 pounds 12 ounces) on a fly in Costa Rica, or to battle a black marlin on a fly rod in heavy seas off Cape Bowling Green, Australia. 212 page hardcover edition. 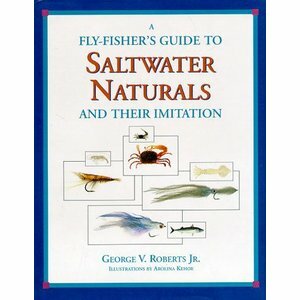 Book-FlyFishers Guide to SaltWater Naturals by George Roberts, From striped bass to sharks, have preferred prey and undergo periods of selective feeding.